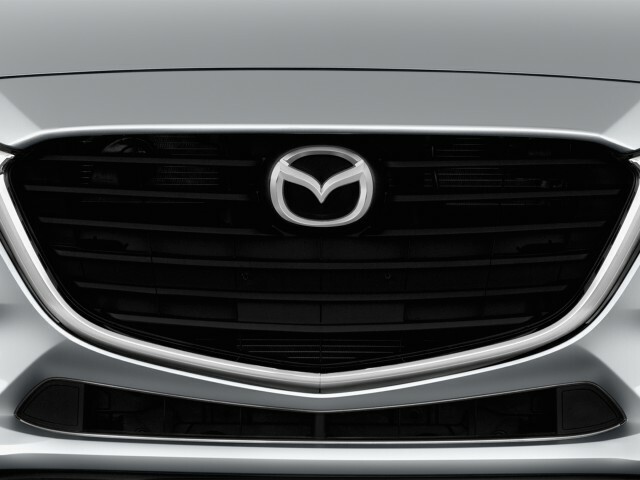 Mazda is a tiny carmaker on a global scale, producing just 1.6 million vehicles a year. It competes with four companies (GM, Nissan-Renault, Toyota, and VW Group) that each sell around 10 million a year, as well as numerous other smaller makers still larger than Mazda. In a world where reducing the carbon emissions from road vehicles is increasingly crucial to stemming the effects of climate change, Mazda can afford to pursue electrification only with partners. 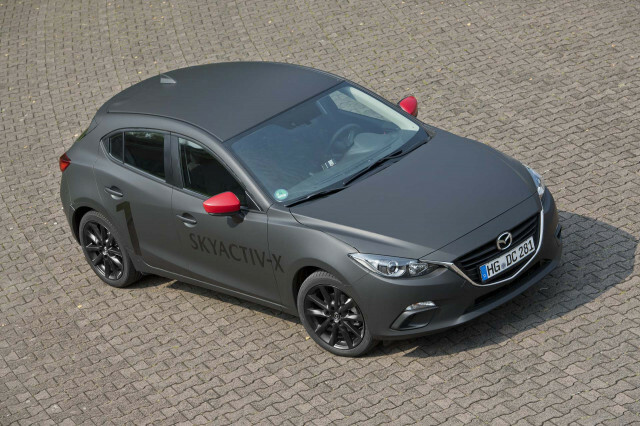 A product plan it released last month shows that in 2019, it will launch the efficient new SkyActiv-X engine, the first high-volume engine put into production that uses homogeneous charge compression ignition or HCCI. That year it will also introduce a mild-hybrid system, included on SkyActiv-X engines shown as static displays during the 2017 Global Technology Forum it held in August. Finally, Mazda will launch a battery-electric car—“with and without a range extender,” it says—in 2019 as well, likely as a 2020 model. 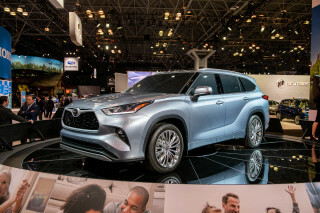 Kiyoshi Fujiwara, Mazda’s senior managing executive officer with oversight of research and development, described that vehicle to Green Car Reports as “an individual top hat" on a platform shared with Toyota. Japan's largest carmaker has said it will develop a long-range battery-electric vehicle to debut around 2020, at least in part to appease Chinese regulators pushing hard for more plug-in vehicles. Toyota, long an electric-car skeptic, has touted hydrogen fuel-cell vehicles as the most appropriate zero-emission solution, but those cars require a fueling infrastructure that’s beyond the company’s ability to implement at global scale. Current CEO and namesake Akio Toyoda now reportedly heads the development team for Toyota's first volume electric car, perhaps indicating the relative recent importance of this project to Toyota. But as a conservative company, it seeks to reduce risk and increase economies of scale on a car that may well lose money in its first years. 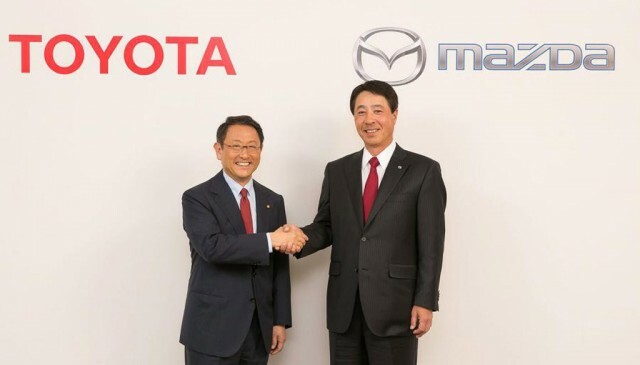 Toyota and Mazda announced in August they would both build a U.S. assembly plant together and expand certain areas of technological cooperation between the two companies—including electric-vehicle technology, plus connected-car and advanced safety technologies. 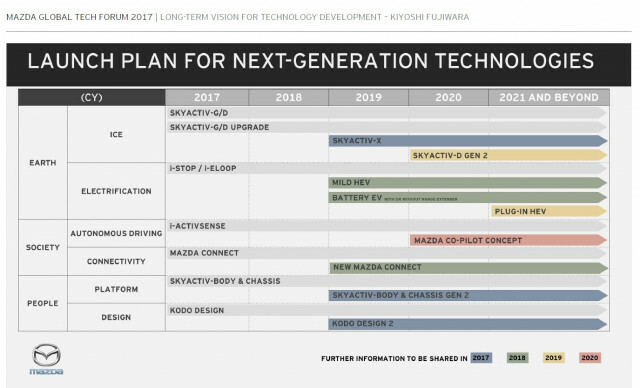 In other words, with Mazda focusing on far more efficient combustion engine technologies, it will use Toyota’s underpinnings and technical development with a dedicated Mazda body on top. Asked if that vehicle would use a new model name (e.g. Nissan Leaf) or simply be a powertrain option under an existing and recognized vehicle line (.e.g the upcoming BMW 3-Series electric model), Fujiwara suggested the all-electric model would carry to a new model name. 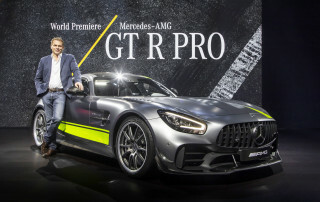 Plug-in hybrids, on the other hand, he said, would be powertrain variants of existing models with some added hardware. Mazda is only likely to sell its all-electric car in a few regions, including China and California. Both have regulations specifying how many zero-emission vehicles a manufacturer must sell, though China’s goals are far more aggressive in the near term than those in the Golden State. Fujiwara said the company will first sell that car in regions that meet two criteria. First, they must have sufficient electric-car charging infrastructure—but they must also have an electric power grid that’s sufficiently clean. 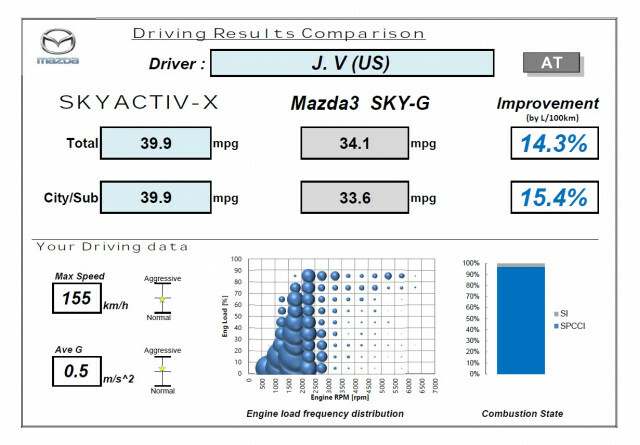 It is important, Fujiwara explained, that the wells-to-wheels carbon emissions per mile of an EV are demonstrably lower than those from even the most efficient Mazda using the HCCI-based SkyActiv-X engine. The company plans to cut the carbon emissions from its lineup in half by 2030—and by 90 percent in 2050—over base 2010 levels. 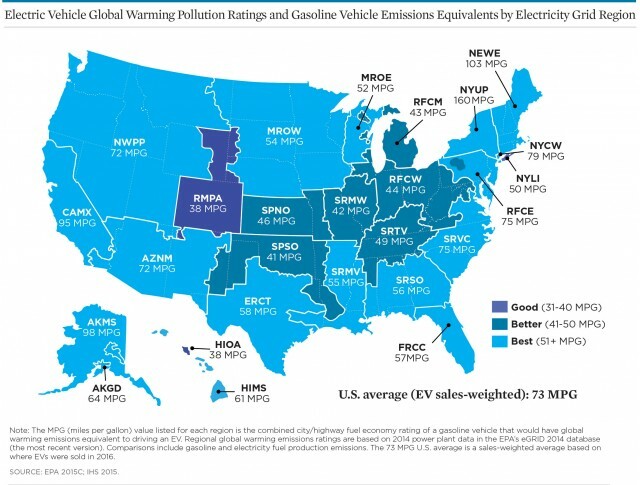 It takes the approach that accurate analysis of real-world carbon emissions requires looking at the wells-to-wheels carbon footprint of both electric cars and those with internal combustion engines. The former includes the carbon emitted to generate the power that recharges the batteries, while the latter includes not just the efficiency of the combustion engine but also the carbon emitted in extracting, refining, and transporting liquid hydrocarbon fuels. Those analyses and models exist, from a variety of researchers. But Mazda is the first carmaker we know of that has suggested that not just fuel efficiency but wells-to-wheels carbon footprint is the appropriate measure to consider in comparing electric cars to the most efficient gasoline vehicles. If the goal of reducing carbon emitted from road vehicles is, in fact, to slow release of the carbon dioxide that contributes to climate change, then that's exactly the right metric to use. Mazda feels there's a lot of room left for efficiency in combustion engines. 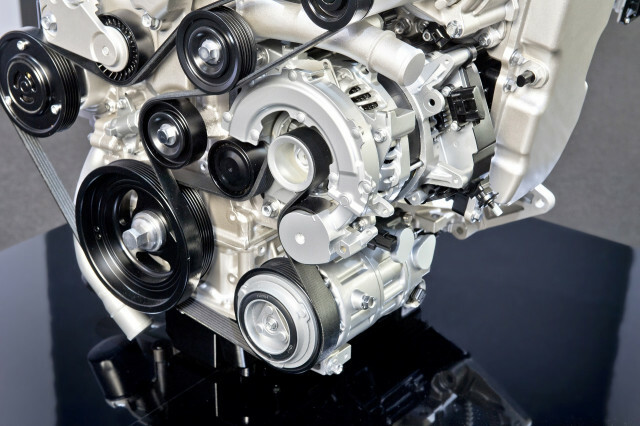 While the most efficient engines now in production reach 40 to 42 percent thermal efficiency, the company's calculations suggest 55 to 60 percent is achievable, according to Ichiro Hirose, managing executive officer in charge of the company's powertrain development. But, Fujiwara said, Mazda doesn't see any point within the next 10 years at which battery-electric cars with reasonable ranges can be sold profitably at prices that equal those of the most efficient conventional cars. For context, the company's highest-production car globally is the Mazda 3 compact hatchback and sedan line, which starts around $19,000 in the U.S. this year. The challenge of making the business case to build and sell those cars at mass-market prices, he said, is "quite severe." Mitsuo Hitomi, Mazda's managing executive officer and technical center chief, said during the technical session that the company believes vehicles with far more efficient combustion engines will remain the largest part of the global market through 2035, and liquid fuels will dominate until 2040. Meanwhile, Fujiwara said, the ability to create carbon-neutral synthetic hydrocarbon fuels that can substitute directly for fossil-fuel gasoline is a major opportunity to slash carbon emissions. Still, like Toyota with hydrogen fueling infrastructure, Mazda can't make that happen alone—leaving calculations of the wells-to-wheels carbon emissions of its SkyActiv-X engines reliant on conventional gasoline made from fossil-fuel oil. The question for Mazda over the next decade or so will be whether its engineers can produce engines that lower carbon emissions enough to match the falling carbon footprint of electric cars, as electricity grids around the world add renewables and decarbonize at a rapid clip. Mazda provided airfare, lodging, and meals to enable High Gear Media to bring you this first-person report.